The Russian embassy in the UK has sharply criticized British Foreign Secretary Philip Hammond for his harsh words about Russia’s involvement in the Crimean referendum and the crisis in eastern Ukraine during a speech to the diplomatic corps. “Throwing words around, which reflect an utterly biased view of the Ukrainian crisis, with no place left for interests of real people on the ground and their right to decide for themselves, the Foreign Secretary declared Russia as a menace and a British Foreign Policy number one challenge,” the embassy wrote in statement released on Thursday. 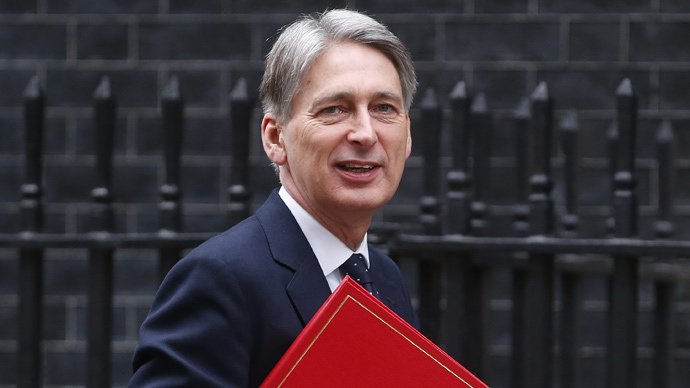 Earlier this week, Hammond also spoke out about Russia's role in Ukraine. On Sunday, just a day after the anniversary of the Crimean referendum, the minister said “the annexation of Crimea was illegal and illegitimate in March 2014, and remains illegal and illegitimate in March 2015,” in a statement posted on the British Foreign and Commonwealth Office’s website. Aleskei Pushkov, chairman of the Russian State Duma’s International Affairs Committee, responded to the criticism on Twitter by saying that "Crimea has a lot more right to the status of Russian territory than the Falkland Islands do to having the status of Britain's territory."